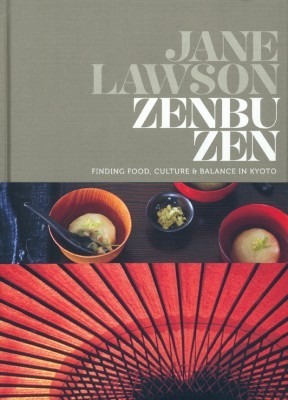 Zenbu Zen: Finding Food, Culture & Balance in Kyoto by Jane Lawson. Sydney: Murdoch Books, 288 pp., $64.95 (cloth). Feeling out of her depth in a high-powered, high stress, publishing job, Jane Lawson took a sabbatical, hoping to regain her sense of purpose and redefine her goals. She packed her bags, headed to Japan, and began to rekindle a love affair that had begun more than 20 years ago. Kyoto was the obvious choice for a woman with Lawson’s sensibilities. Kyoto is the epicentre of culture in this ancient nation and Zenbu Zen takes us through Lawson’s personal experiences there: her transformation, and also the food and culinary wizardry that were central to it. She enables us, with simple recipes and explanations, to join her in her Japanese feast. The seasons in Kyoto are distinct: as they change, life changes, people change, dishes change, and Lawson changes, too. She keeps a food journal over the five months she spends in Kyoto, chronicling her wanders through immaculate food halls in department stores as well as the ancient Nishiki markets originating in 1310 and known as “Kyoto’s Kitchen,” where she feasts on simple treats, and buys traditional ingredients, fundamental to the dishes she learns to create. Lawson arrived in Kyoto in December, found her feet and started to fill her tiny apartment with homey smells, recipes like: wagyu with King Brown mushrooms); duck and leek hotpot (perfect for the chill in Kyoto that time of year), and splendid croquettes — trust me, one is never enough! Lawson enters January, a time for family, renewal and affection with two dishes that are traditional in the New Year festivities: Toshikoshi soba (buckwheat noodles) and Ozoni soup. Both are necessary to start the year well. February is Kyoto’s coldest month. A deep chill means cold and flu are rampant. Everyone is hankering for hot dishes and warm drinks. Zenbu Zen has a great ginger tea recipe to soothe the chill and also a recipe for the best Green Tea Latte. Pair it with a sweet like kinako and white chocolate truffles and you will be in heaven! A major component of Japanese lifestyle and cooking is seafood. Whether served up in a hotpot or as sashimi the simple fish dishes the Japanese eat and serve nightly in their homes are unbeatable. Lawson’s selection of seafood dishes such as tender simmered octopus) and simmered Japanese Yellowtail and daikon, along with some more adventurous dishes like rice gruel with snapper and yuzu will help her readers share this pleasure. In addition to her own cooking, Lawson also introduces some of Kyoto’s more exclusive restaurants, the sort where one needs to be introduced by a regular. In those restaurants she explores some of the more exotic Japanese dishes, tackling, for example, shiokara (sea slug) mixed with salt. She picks up a few tricks like how to prepare restaurant-quality pork cutlets at home. The book features easy step-by-step guides to quintessential Japanese dishes; even those who fear the kitchen will want to break out the apron and give them a try. Some ingredients may be a little hard to find outside Japan but if there’s a decent Asian grocery nearby, you should be able to find most of what you need. Mirin, shoyu and dashi are in practically every dish and are easy to find just about everywhere. Lawson has provided a fantastic Ingredient glossary that should answer your questions about more arcane ingredients. Zenbu Zen is beautifully written, and filled with sound advice and unpretentious tips on how to enjoy food and life in Japan. It is also, thanks to the design and photography that grace it, a beautiful object, one that will have a place not only in your kitchen but also on your bookshelf. 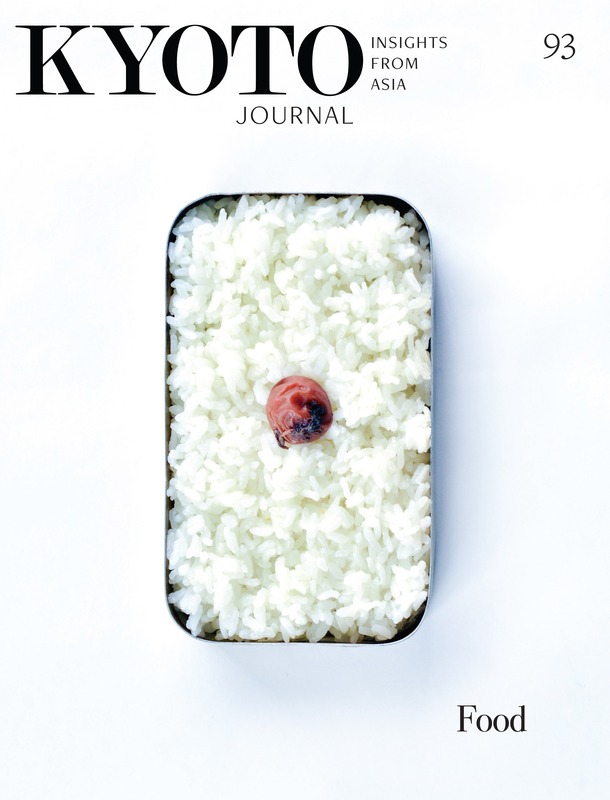 For anyone interested in Japan, design, photography, or food Zenbu Zen is a fantastic book. It is a visual delight and a beautiful souvenir of one of the most amazing cities in the world.